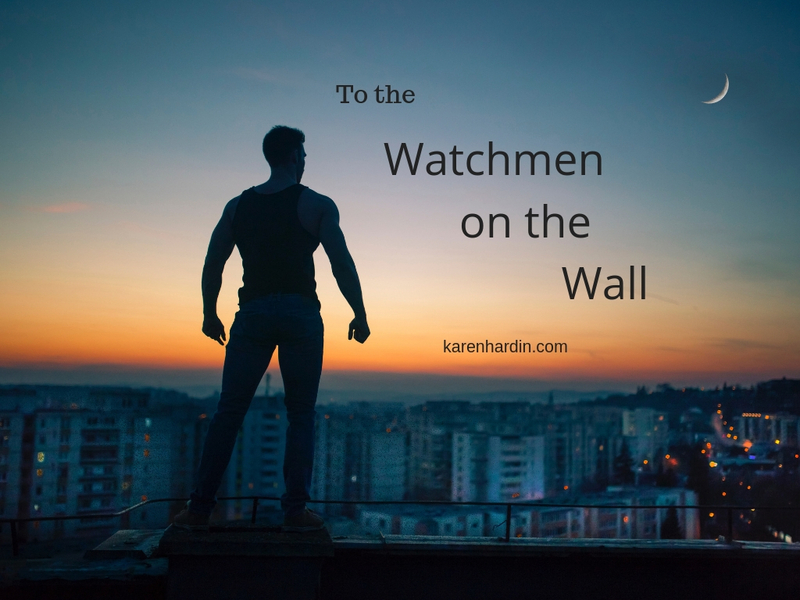 This is a mandate for those called as watchmen…This is to the Watchmen on the Wall. This is not something you looked for. It is not something you try to muster up. You are a Watchman on the Wall. But if the watchman see the sword come, and blow not the trumpet, and the people be not warned; if the sword come, and take any person from among them, he is taken away in his iniquity; but his blood will I require at the watchman’s hand. They are called to warn a city and a people. They are called to announce. They are placed on the wall because they can see for long distances what is coming and then must announce it. I will continue to post to the watchmen over the next few weeks. There are many of you who are discouraged. Some have grown weary. Some do not understand this thing that rests on your shoulders and in your heart. And some have been silenced as others have shook their fingers at you because they don’t understand. This is not between you and them, but you and Him. Are you a watchman? Take courage. If this message has connected with you, please comment and let me know!